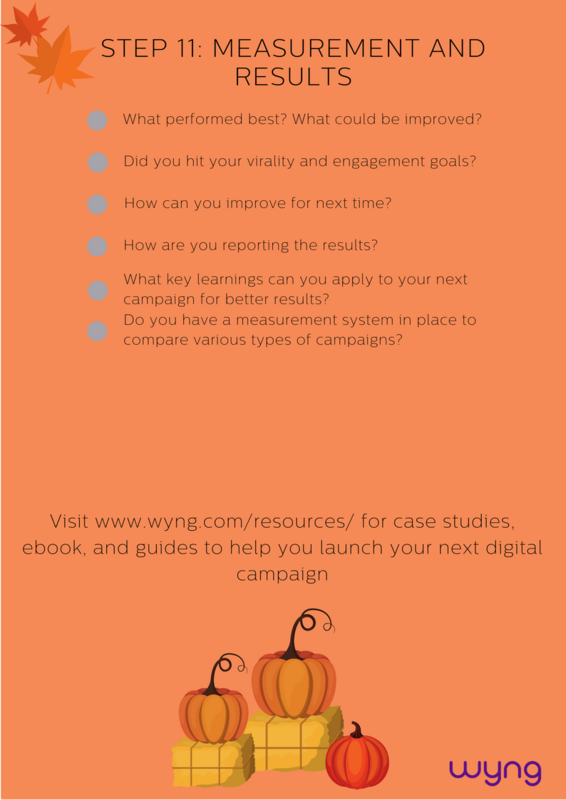 From dusting off your favorite oversized sweater to the return of the Pumpkin Spice Latte, fall is arguably one of our favorite seasons here at Wyng. 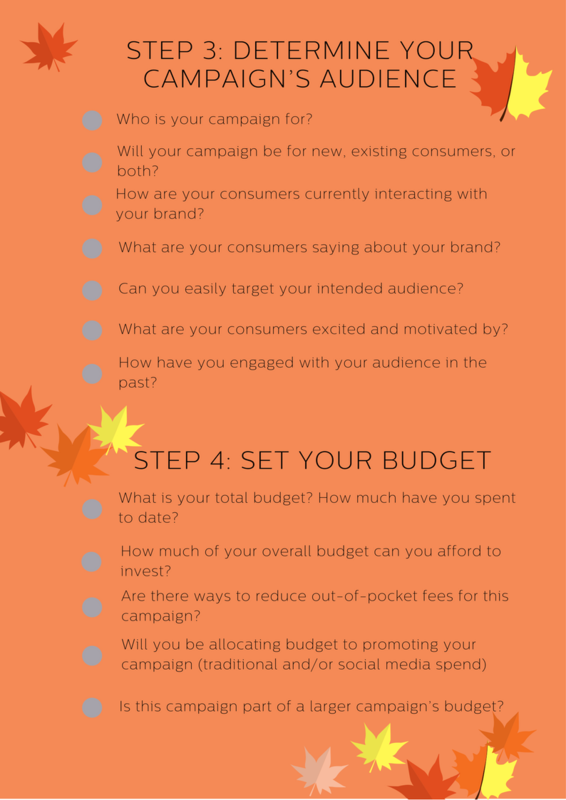 Along with cozy sweaters, crisp and cool mornings, and maybe a small case of vitamin D deficiency, fall also brings with it new opportunities for brands and agencies to reflect on what they may have put off in the summer and new ways to revitalize their fall digital campaigns to boost business and get a head start on the holiday season. 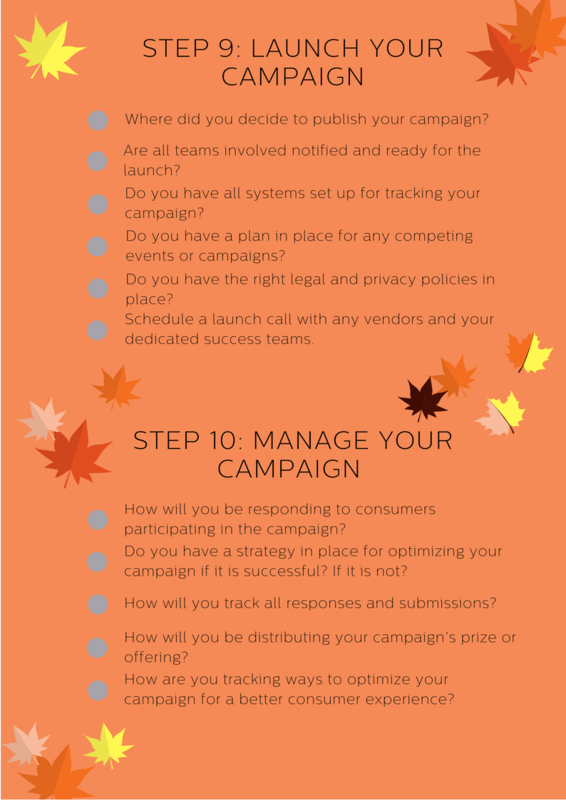 If your fall marketing needs a little spice to freshen it up, now is the perfect time to take a step back, evaluate what you’ve done so far this year, and look for inspiration to spark new ideas. 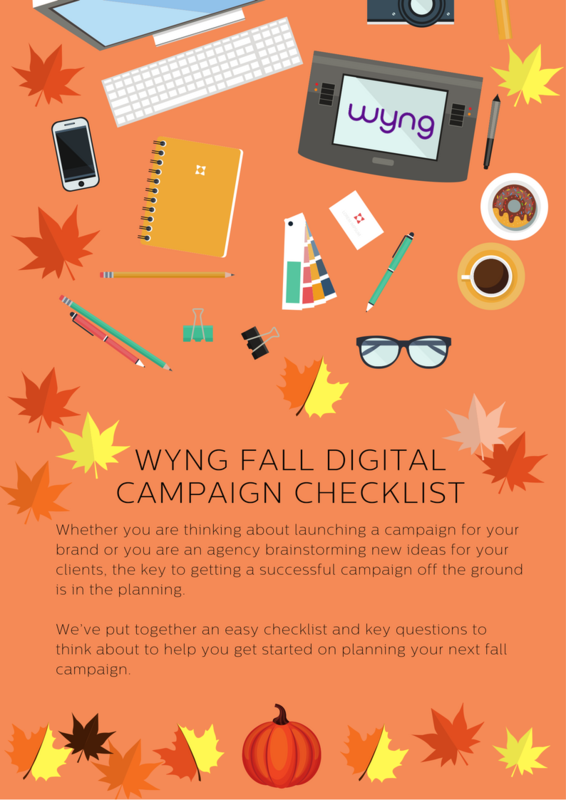 If you want to launch a fall digital campaign, the first step is planning. 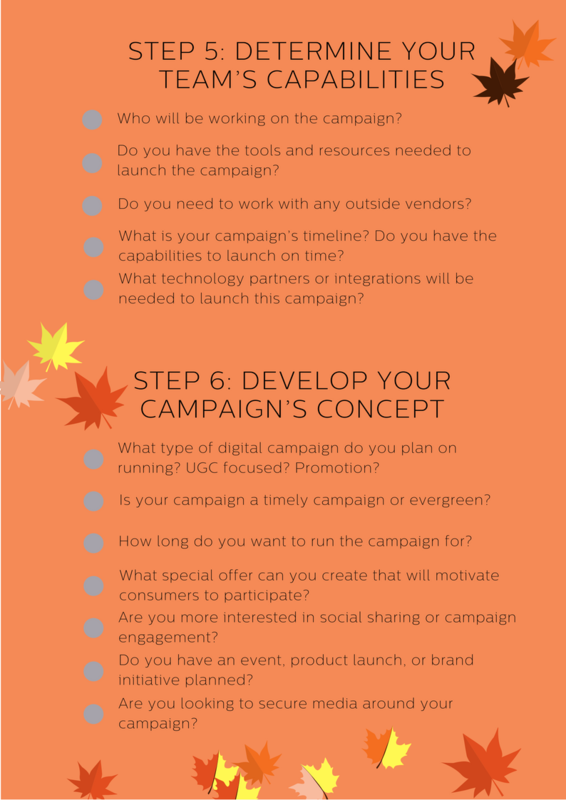 Whether you are thinking about launching a campaign for your brand or you are an agency brainstorming new ideas for your clients, the key to getting a successful campaign off the ground is in the planning. 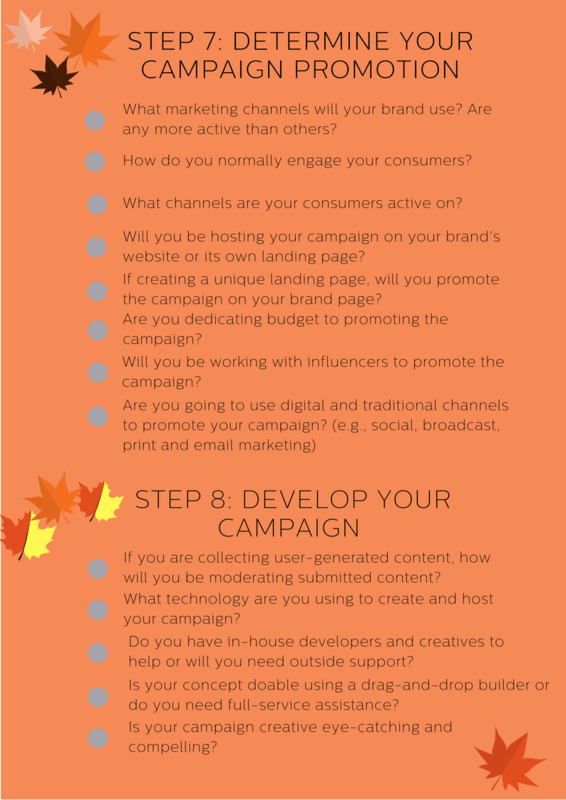 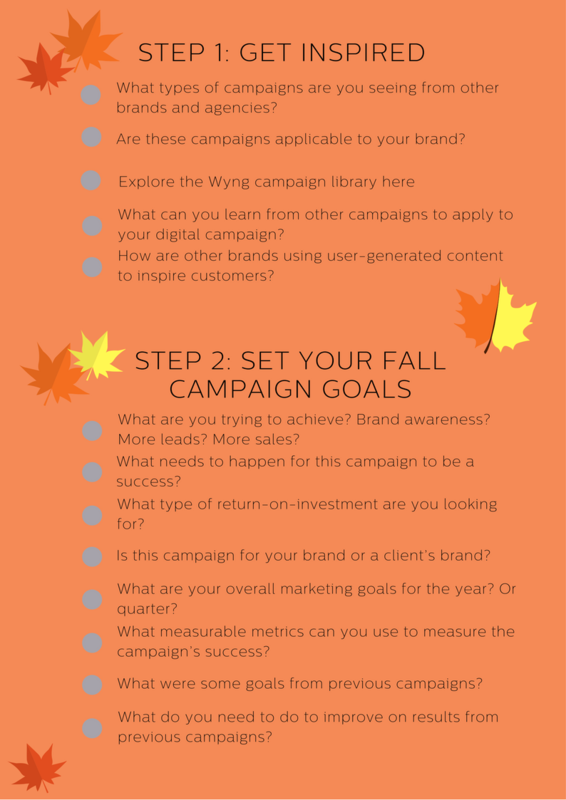 We’ve put together an easy checklist and key questions to think about to help you get started on planning your next fall campaign.